See below where you see yourself or organization participate in your best way. Thank You! There are multiple ways you can make a enormous difference strengthening communities, boosting health and optimism, and supporting and inspiring local youth. Your donation helps transform the lives of kids in under-resourced communities. For more information, please contact Colin Schmidt at cschmidt@americascores.org or at 415-377-3887. Dive in! SCORES offers abundant opportunities to help. Be a referee or Book Zone librarian at weekly game days. Become a volunteer soccer or poetry coach in San Francisco San Rafael, Oakland, Redwood City, or San Jose. 3 | Play for a Cause! Have a BLAST with your team at the America SCORES Beach Soccer Blast youth and adult beach soccer tournaments this summer. With an average of more than 10 goals per game, every match is exciting and fast-paced. Beach soccer is played 5v5. The Friendship Cup Parents Soccer Tournament began as a fundraiser to demonstrate school pride through friendly competition. It has evolved into a family-friendly tournament for all parents. Weather permitting, kids activities and a BBQ lunch for all included! Two oppportunities for fun! One in San Francisco, one in Silicon Valley. Proceeds directly benefit SCORES programs at public schools in low-income communities in San Francisco and Silicon Valley. The 15th Annual SCORES Cup is the Bay Area’s largest corporate soccer tournament bringing together teams from top Bay Area companies for a fun day of soccer, networking, and team-building. The 2nd Annual Silicon Valley Cup is SCORES' Silicon Valley Corporate Cup. Turning Asphalt to Turf: We believe all children should have access to high-quality sports and enrichment programs and safe places to play, regardless of their families’ income levels. 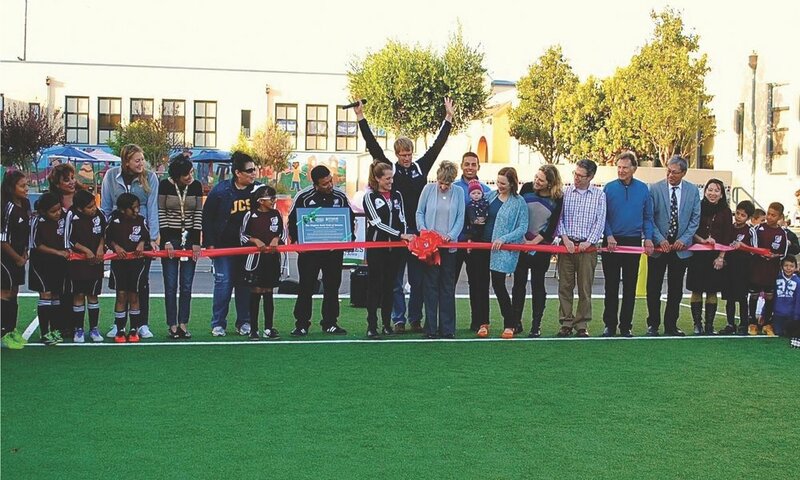 Working with stakeholders at all levels, America SCORES Bay Area is on a path to install dozens of new soccer fields on asphalt school playgrounds. This citywide urban transformation will benefit more than 10,000 low-income youth. Join us for celebrations throughout the year honoring our young poet athletes.